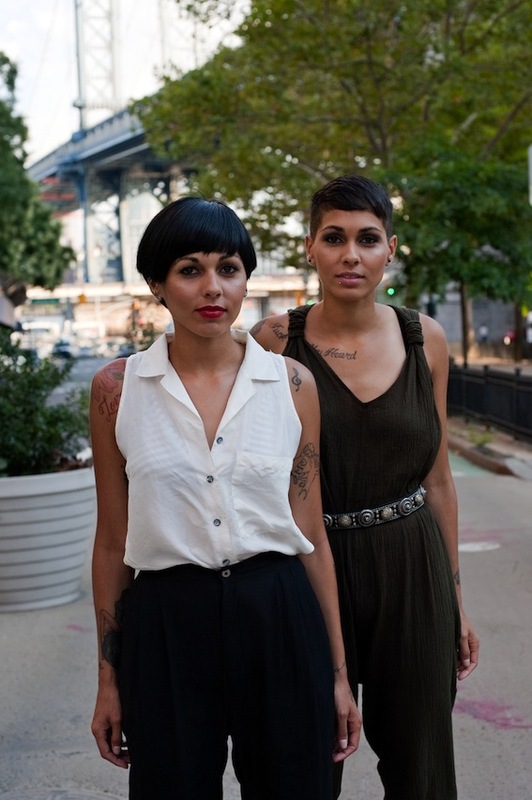 Nina Sky have come a long way, from writing lyrics on their stoop as little girls to touring the world. Musically, it’s hard to pinpoint Nina Sky’s sound or categorize them “We’ve collaborated with people like Diplo. We’ve collaborated with Sean Paul. Aventura, who’s a Bachata group. 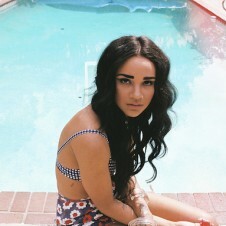 We just love music that much,” Nicole says. “If we like something, it doesn’t matter if it’s hip-hop, reggae, R&B, jazz, opera, whatever—we’re gonna do it.” But what direction is their music headed now? “We went through a period of time where we were just making, like, real hard, like, not happy music. So I think this time around, we’re in a better place. We’re writing all our own music, co-producing it. 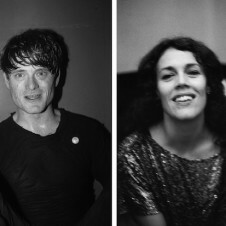 So it definitely is fun, happier music than we’ve made,” Natalie says. By that "period," they may or may not be referring to a time earlier this year, when Nina Sky had some problems with their record label, Polo Grounds Music. "We finished an album, and we were under the impression it was gonna be released, and it never was released, so we got kind of upset about that because, when it came to communicating, we didn’t feel like they were communicating that they weren’t gonna release the album." 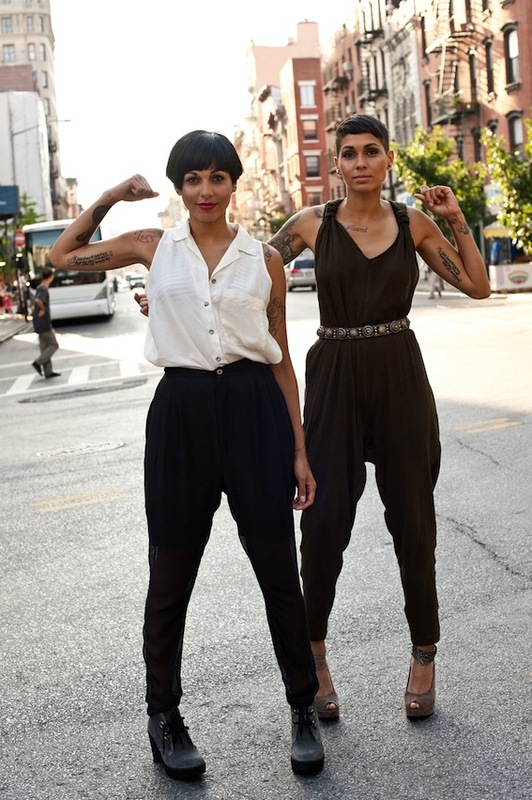 Instead of lying down, Nina Sky took their issue to the fans. 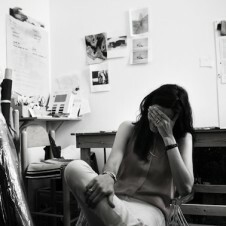 "We vented out on the Internet, and it kinda like got out of hand,” Nicole says. Social media—you know, Facebook, Twitter and the like—can spur a movement, and even though the album has yet to be released, Nina Sky did rally their troops in support of their cause, garnering much press in the process. This may have given them the confidence to keep it moving. 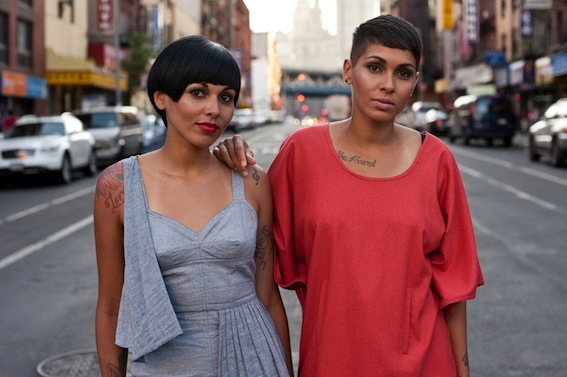 Nina Sky kept making music, releasing an EP, The Other Side, this past August. And Nina Sky likes that with social media, they can connect. "I feel like it’s the most direct contact we have with our fans, and they’re the ones who make us Nina Sky," Nicole says. 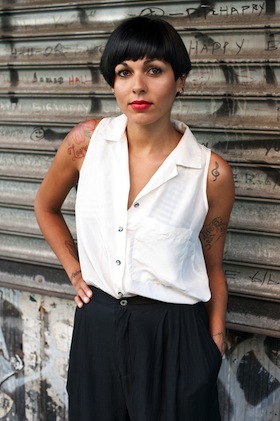 Natalie adds, "It’s really important that everything that comes from Nina Sky, comes from Nina Sky. Like, even if it’s just a simple ‘Good morning’ on Twitter, we’re writing it. Or, ‘Hey, check this out,’ it’s really us asking you to check it out. It’s not label stuff." 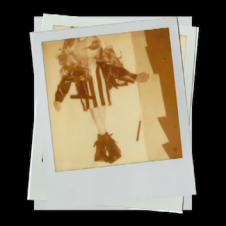 Like their music, the girls’ fashion sense is hard to place. From long hair to short dos. From more of a hip hop look to New York City eclectic. "We first came out when we were 19. We’re 26 now. It’s been a while. If I looked the same way I did when I was 19, people would be like, Oh my god, those girls," Natalie says. “Traveling the world, you’re influenced by everywhere you go. You see people rocking something, you’re like, that’s cool, or, like, it doesn’t even have to be someone wearing something. You’re inspired by everything. We’ve just grown.” Nicole says. “Yeah, I’m just gonna take your answer,” Nicole says. “Since we’re twins!” They laugh. “There you go. You know, that cosmic thing you were talking about." great article…nice to see what they are up to!